Part of DLBA’s ROI campaign. 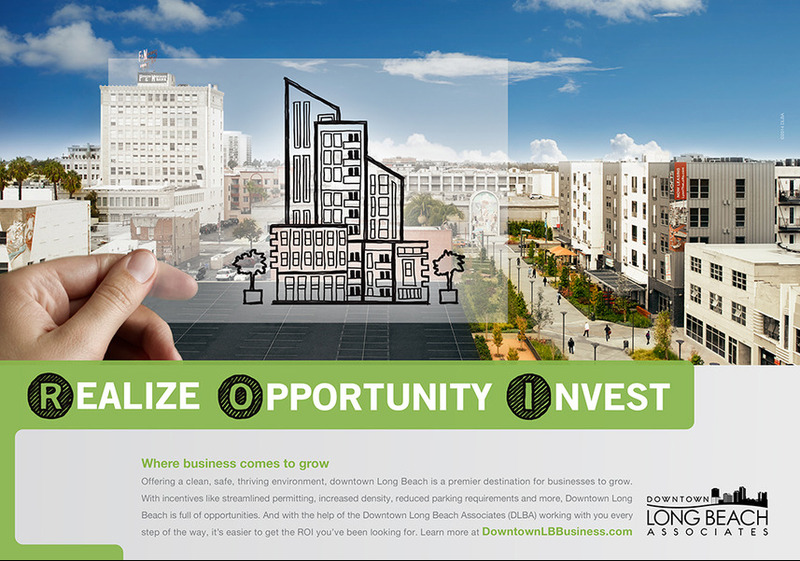 The Downtown Long Beach Associates (DLBA) organization has been honored by the One Club with a prestigious recognition for its Realize/Opportunity/Invest (ROI) campaign. One Club, a nonprofit organization which highlights the best advertising campaigns from around the world, has a section known as the Creative Showcase in which the DLBA was featured. The section highlights works published from creative communities that range from advertising agencies—in this case, the work of Long Beach-based advertising agency ETA Advertising—to graphic design firms. As the downtown area continues to renovate and reinvent itself, the ROI campaign was created in order to showoff Downtown’s viability in fostering business. To view the showcase, click here. Disclosure: Cindy Allen, publisher of the Long Beach Post, is owner of ETA Advertising as well as a board member of the DLBA.